Mystery Scene occasionally welcomes guest bloggers. Today, Michael Mayo, left, discusses the research behind Jimmy Quinn, who appears in his three novels set during Prohibition-era New York. 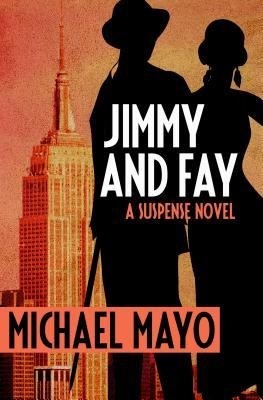 His latest novel in this series is Jimmy and Fay. The Jimmy Quinn series also includes Jimmy the Stick and Everybody Goes to Jimmy’s. Mayo has written about film for The Washington Post and The Roanoke Times. He was the host of the nationally syndicated Movie Show on Radio and Max and Mike on the Movies. 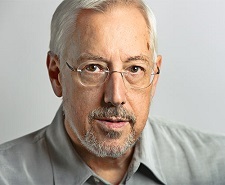 His books include American Murder: Criminals, Crime and the Media, VideoHound’s Video Premieres, Horror Show, and War Movies. That’s how Jimmy Quinn introduces himself in Jimmy the Stick. 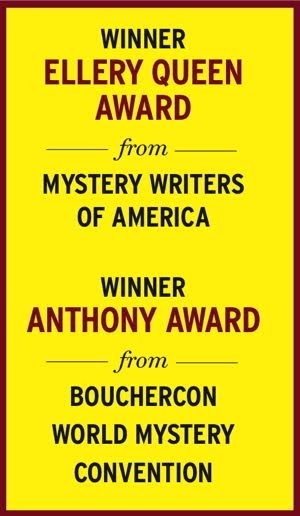 He may not be a model citizen or a conventional hero for a suspense novel, but he is engaging, mostly honest, and he has a sense of humor. He was born while I was doing research for another book, American Murder: Criminals, Crime and the Media. That was non-fiction. I read a lot, particularly the firsthand accounts of day-to-day life in the city. I was surprised to realize early on that many of the most famous characters got into the business at a remarkably young age. Meyer Lansky was 18 when Prohibition began; Ben “Bugsy” Siegel was 14. Luciano was 23. I wanted my guy to be a little younger than them and to come from their world. I knew he was a kid who grew up on the streets, but has retained enough of an attitude to be a companionable narrator. I also knew the people he’d meet and the real events he’d be part of, but I didn’t have much more. He was an idea, not a person. My break came with a library book, New York Photographs 1850-1950 (Benjamin Blom. Dutton. 1982). It’s a massive, heavy thing filled with surprising images. I went through it page by page, sticking little flags on the pictures I meant to photocopy, and was almost at the end when I found them—two boys on South Street below the Manhattan Bridge pier, around 1910. They’re arm in arm, walking on a sidewalk, and you can tell right away they’re up to something. They’re dressed in knee pants, coats and caps, ties yanked to one side. The one on the right looks at the camera and can barely contain a laugh. The kid on the left has a big basket on his shoulder. He’s more serious but there’s intelligent mischief or evasion in his expression. As soon as I saw him, I knew that was my guy, and I knew his name was Jimmy Quinn. After that, the details filled themselves in. He was the child of Irish immigrants. His mother died of tuberculosis when he was young, his father wandered off, and Jimmy was raised by Mother Moon, the crafty old gal who owned the Hell’s Kitchen tenement where he lived. He never saw his upbringing as deprived or unusual. Times were good, times were hard, at Mother Moon’s they got by. The kids in her building stole or sold newspapers. She made her payoffs to Alderman Jimmy Hines, so she was able to put food on the table and buy the occasional tin of opium for herself. Because Jimmy was small, fast and quick, she hired him out to work as a messenger for the gambler Arnold Rothstein. Through Rothstein, Jimmy met a kindred spirit, Meyer Lansky—another young man who refused to let his short stature define him. Lansky was also interested in making money, and would work with anyone who’d help him. He and Jimmy got along. In the present of the novels, Jimmy lives in the Chelsea Hotel. His speakeasy is right around the corner on the lower floor of a brownstone with a restaurant upstairs. Both cops and gang guys are welcome. Interesting people drop in and unusual things happen.